The Nhakira Trilogy features a heroic female lead with a solid modern tone. The story is strong, carrying a powerful message of determination, yet cloaked in the veil of magic, powers, new kingdoms and creatures unique to Nhakira’s universe. 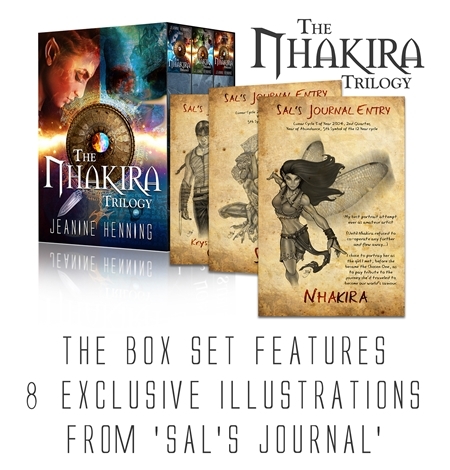 The box set also features an exclusive 8 illustrated pages from ‘Sal’s Journal’ so readers are in for a little extra reading time treat! Since the Dahyra War, three hundred years previously, evil tyrant Mathus has taken control of Amyr from the seven Supreme Sorcerers. But, before their deaths the sorcerers forged the Prophecy of the Great Trinity, which is about to be activated and bestow its gift on the chosen. However, when young Dreamcharmer, Sal, a magician’s assistant from the secret settlement of Arcanashem, is tasked with delivering the gift of power, with which the chosen one is to find seven hidden keys that will unlock a weapon strong enough to defeat Mathus, he fears he’s made a mistake when he inadvertently passes it to eighteen-year-old Nhakira, a feisty Farinian orphan and slave. Having sensed the power of the awakening of the prophecy, Mathus charges his Master Sorcerer, Rothgylde, to seek and obliterate the threat. Nhakira barely has time to identify her new powers when a Seeker demon attacks. Sal saves Nhakira, and despite her initial belligerence and bad attitude, Nhakira ultimately accepts that she must join Sal in a quest to find the keys. Can Nhakira overcome her own weaknesses, control the power, cope with terrible dangers, find the keys and defeat Mathus? 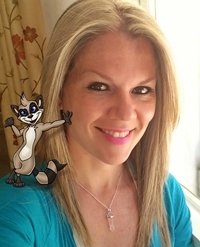 Professional cover designer and illustrator to authors and publishers worldwide, Jeanine Henning's extensive 17 year professional background includes children's book illustration and publication, comic book art and publishing, book cover art, console game design and product branding. In 2007 Vin The Virus Hunter was Jeanine's first critically acclaimed Teen Sci-Fi publication in South Africa, along with the bestselling Scarlett's Curse graphic novel, published internationally. 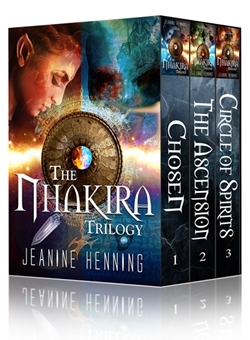 THE NHAKIRA TRILOGY is Jeanine's first YA Fantasy trilogy as author, and she plans to publish many more adventures for teens and adults! She also specializes in author and book branding as she has a fiery passion to help authors grow the independent publishing platform even more!